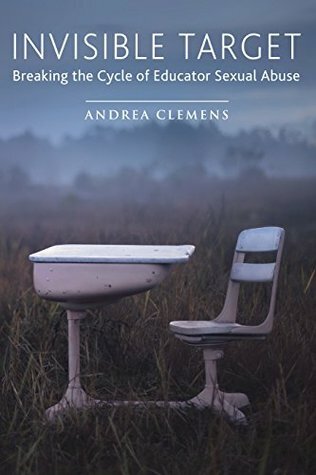 Andrea Clemens has bravely written about how she was groomed by her middle school teacher and was then abused for 11 years. Struggling to gain back the many years of growth she missed, one sees how devastating, beyond the sexual aspects, this crime is to the victim and all those around her. Her courage to reveal all the aspects of her life that this has affected is breath taking.Each chapter ends with thought provoking questions for teachers, parents, students, survivors and all readersUnfortunately, this a subject that has been ignored for too long. Let's read Invisible Target, and make ourselves more aware, so there are fewer invisible targets. I will write a longer review when I'm not on my phone and have had a chance to process everything in this book. Andrea did a phenomenal job of writing about her experience with sexual abuse and setting up the background to why she was an "easy target" to groom. It obviously took many years and therapy and internal strength to be able to write such a public account of her ordeal. I recommend this to anyone interested in learning about overcoming sexual abuse, the things to be on the lookout for potential victims, what to do about it, and advocacy. Children, parents and educators should read this book. Ms Clemens tells her story with honesty and sensitivity but doesn't sugar coat anything. At the end of each section their are very pertinent questions to be answered by parents, students, educators and victims. Very helpful in unmasking the sinister people who lie in wait for the most vulnerable of our children. Should be required reading for every educator. Andrea Clemens - Andrea received her master’s degree from Boston University in clinical social work and has been educating school faculty, students, administrators, parenting groups, mentors, and the general public about educator sexual misconduct for over ten years. She has participated in both local and national television shows, including the Montel Williams Show and Fox News Live.Andrea is a key member of the speaker’s bureau for S.E.S.A.M.E a national organization dedicated to preventing sexual exploitation, abuse, and harassment of students by teachers and school staff. She is also an instructor with the non-profit organization, KidSafe Foundation, whose mission is to prevent child sexual abuse, bullying and internet dangers by providing education programs to children, seminars to parents, workshops to teachers and counselors and trainings to all professionals working with children.Andrea continues to invest time and energy ensuring schools can be safe environments for our children – free from harassment and abuse.